Here’s the final piece of our Disneyland parades history timeline. 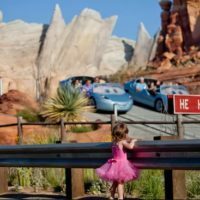 It will take you back to watching parades on the curb of Main Street. 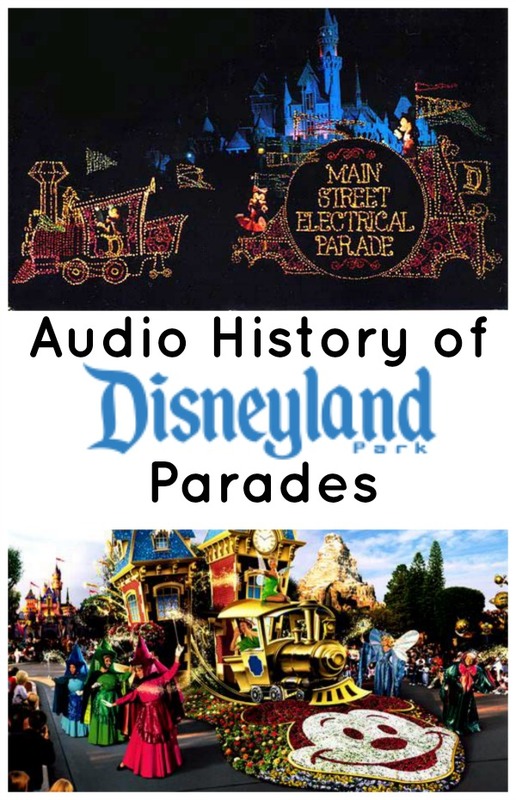 Take a listen for rare audio and the history of the ups and downs of the Disneyland parades. During this final piece of the Disneyland parades audio history, you’ll hear the history of the parades from 90’s until today. For the first two parts of the timeline, click here. The Disneyland secret this week features the light above the Main Street Firehouse. 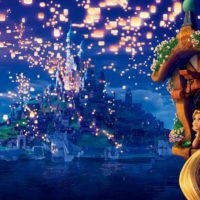 This week’s Disneyland secret is brought to you by our eBook Disneyland Secrets: A Guide to Disneyland’s Hidden Details. Bonus: When you listen to the podcast, you’ll hear a discount code for the eBook. 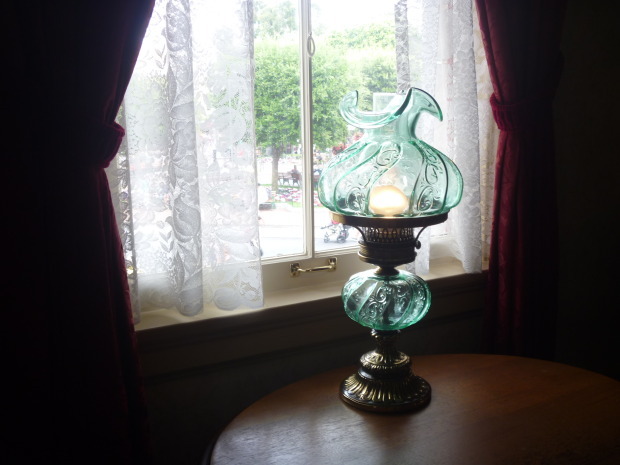 The lamp in the window of Walt Disney’s private apartment located above the firehouse in Disneyland is never turned off. Or is it? There are two occasions when the light is switched off. Whenever one of Walt Disney’s daughters visited the parks, the light would be turned off to honor the memory they have of their dad. Also, during the holiday season, a miniature Christmas tree is seen in the window instead of lamp. Thanks to everyone for listening and subscribing to the podcast on iTunes. I can’t believe the great response we have been getting in the reviews. Please leave your comments and show ideas in a review on iTunes. Thanks for leaving your comments about the show! I am so excited to read your thoughts. Find us on iTunes and Stitcher Radio to listen to the show and subscribe. 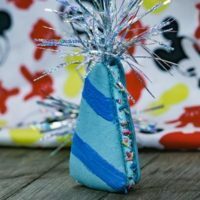 For all of our previous episodes, take a look at our Disney Dose podcast page.